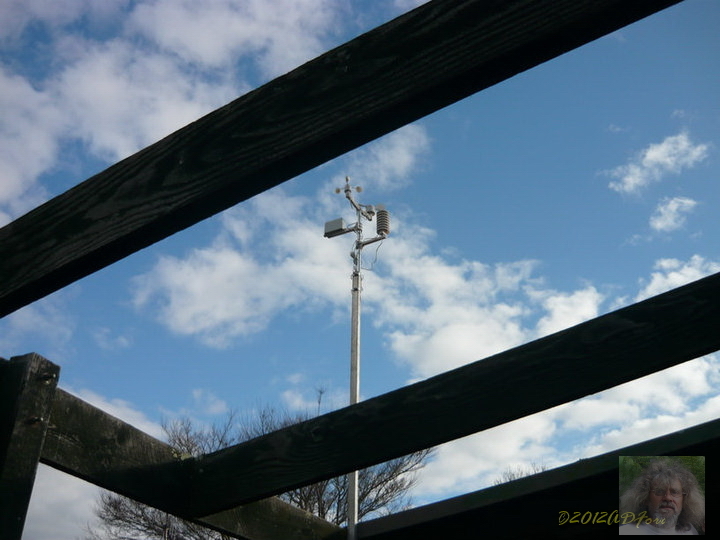 Current Weather and trends and in Sale if I have the monitor system up and running. 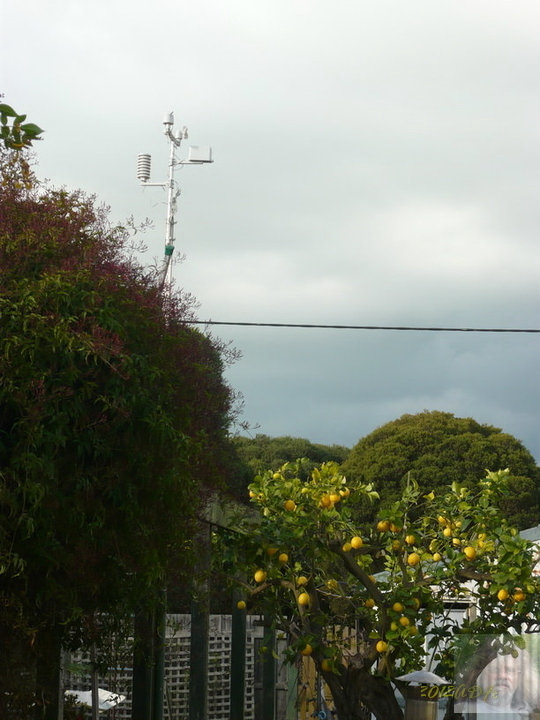 This is my system out my back door Since extended my mast a few feet to catch the wind better. 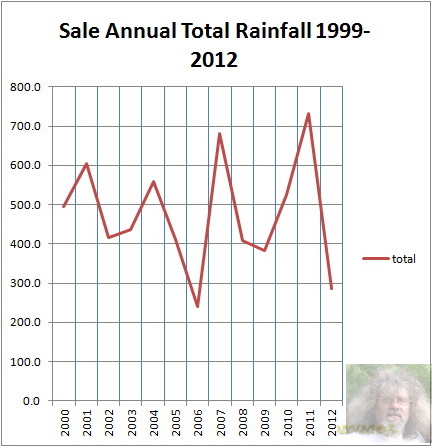 Since 1999 when my father-in-law Ken gave me a rain gauge, I have pretty well kept a constant record of rain fall on the backyard. I shall endeavour to keep this page updated. The gauge was affixed to the NE corner of the bungalow, about 2.5m up. 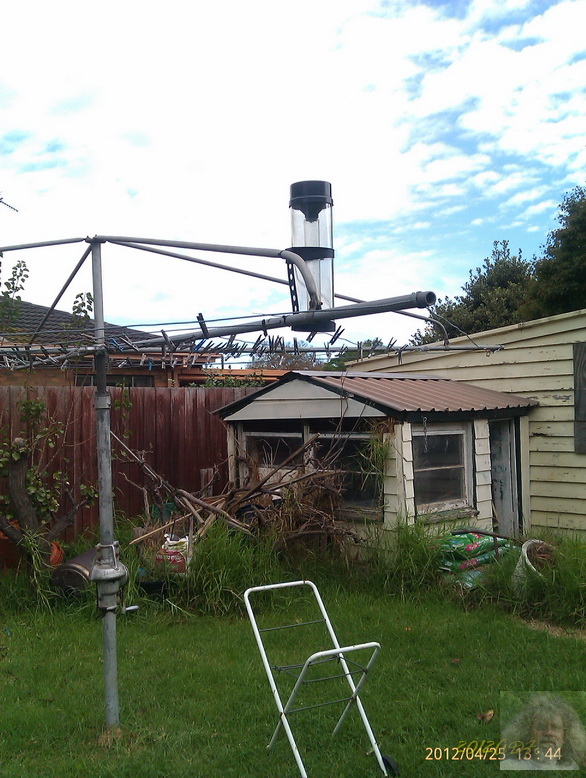 Now it is on the clothes line where I can reach it easily instead! 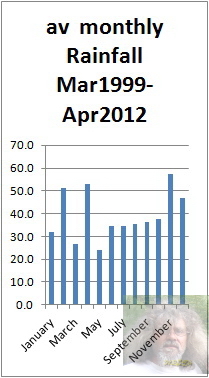 Data goes into a spreadsheet, add additional information, graphed as follows of what has happened locally since 1999. 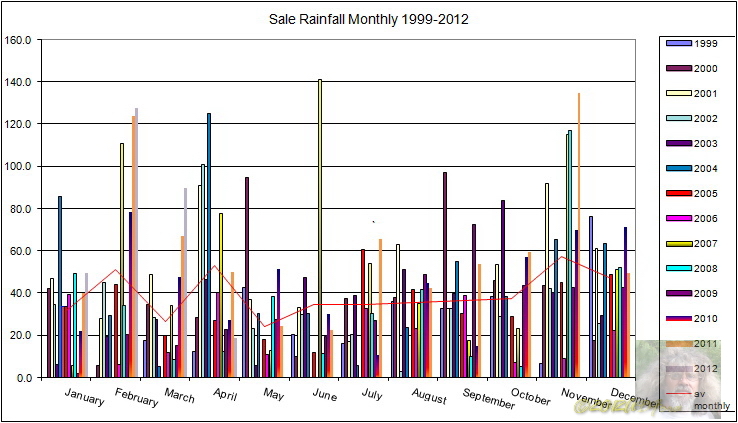 The rainiest months are April, and November. 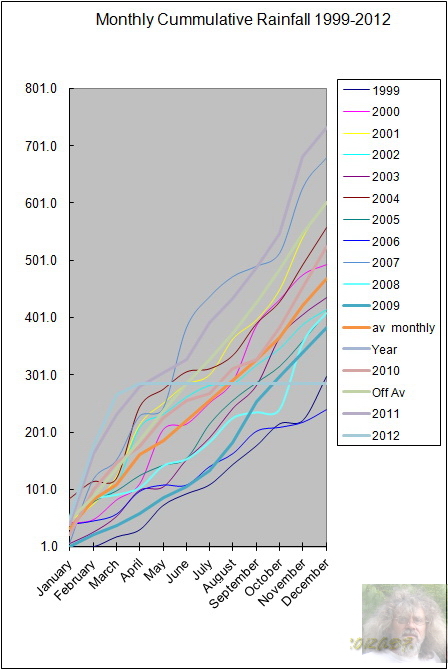 From the graph below, the rainiest years are seen as 2007, driest 2006 and 2005. 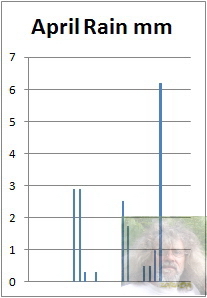 Can anyone else offer an explanation for the cycle cribbed from the mean moving average? 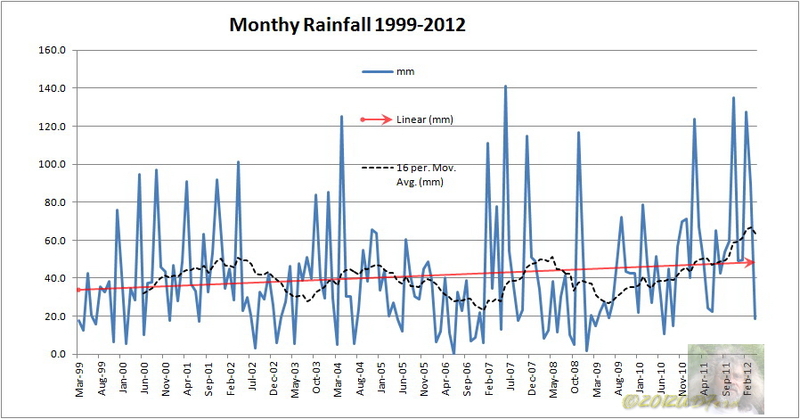 The Average Monthly rainfall is appearing to drop off since the mid 2000's in this graph.